A must-visit for group tours! • See the Hunley upright in her 75,000-gallon conservation tank. 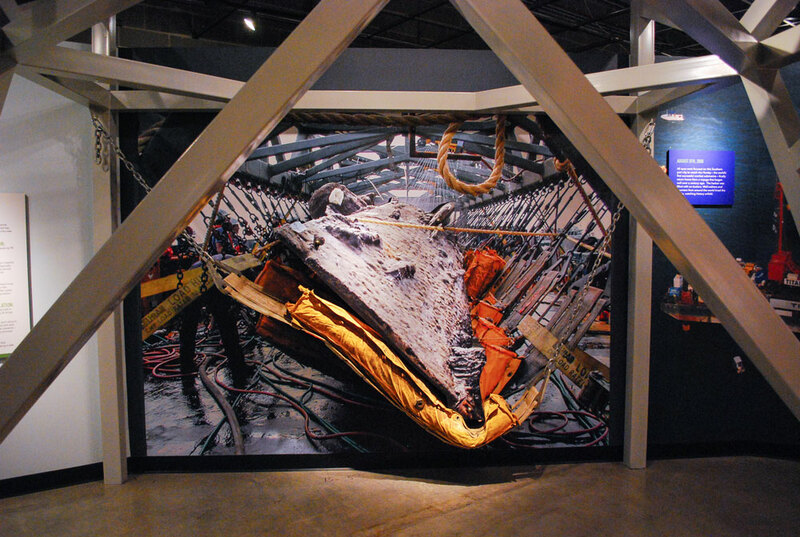 • Feel what it was like to be on the Hunley crew through interactive exhibitions. • Artifacts found onboard during excavation, including the legendary gold coin that saved the Captain’s life. • Facial reconstructions of the crew. Group tours available 7 days a week. Private tour for groups that schedule their visits Monday through Friday. All proceeds go to support the Hunley Project! at info@hunley.org or 843-743-4865, ext. 14.